If you’re tired of dealing with the same kitchen appliances that aren’t performing up to standard then it’s time you replace them. As you embark on your appliance shopping excursion, you’ll want to do a bit of considering first. Although you might think it’s simple to just swap one stove for another or trade an old refrigerator for a new one you actually have the opportunity to make some smart choices that can have a great impact on your energy bills and the way you use your kitchen. First of all, size does matter. Make sure you take complete measurements of the appliances you plan on replacing. If it has been a while since you’ve bought new appliances you might find that the standard sizes have changed. The last thing you want to do is buy a stove that isn’t going to fit in the space between your cabinets. Take plenty of notes when you’re making you measurements. Get all the dimensions right and you shouldn’t have any problem finding the perfect fit! Obviously, cost is going to be a factor for your purchase but it shouldn’t be a deterrent. You should check with the rebate fund that is being offered by the state for replacement of certain kitchen appliances. If you are trading in an old energy waster for a new Energy Star rated device you could be in for a rebate. Other than that you could also consider some financing deals being offered by the appliance store of your choice. These are big ticket items so the stores are eager to make a deal. You also have to think about the life of the appliance. 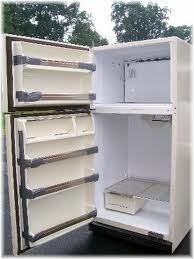 Suppose you are buying a new refrigerator in the $800 range. If that fridge lasts 8 years (and why shouldn’t it?) you’re really paying a $100 a year which breaks down to pennies a day. That’s a pretty good deal for a brand new appliance! Part of the cost to consider is also the warranties. A good thing to consider about warranties is the overall replacement cost. If you’re spending $100 on a DVD player and the warranty is $75 additional it’s probably better to skip the warranty and just buy a new player. The additional warranty only kicks in after the manufacturer’s warranty. Hopefully, you’ll discover if something is wrong within that period. Otherwise, on the more expensive appliances that you want to keep running properly, a warranty could be a good way to go. Then there are all the “bells and whistles” to consider. If you’ve been working with old appliances then you’re going to be in for a real treat when it comes to all the programmable features and time saving devices that are incorporated into stoves, washing machines and dishwashers. Yes, everyone has gone high-tech and that’s a good thing! Once you’ve picked out your new appliances make sure you arrange to get rid of the old ones by hiring a professional team of junk haulers that are local like Junk King Alameda. They’ll be able to take away your old appliances on the same day as the new ones arrive without skipping a beat! This entry was posted in Alameda Hauling, East Bay Junk Removal, Get Rid of Old Appliances, Junk King Alameda, oakland junk removal and tagged Alameda appliance Disposal, Alameda Appliance Removal, East Bay Junk Removal, How to Get Rid of Old Appliances in Alameda, oakland appliance buying guide, Oakland Appliance Disposal on September 30, 2011 by Junk King. Last updated August 4, 2017 .